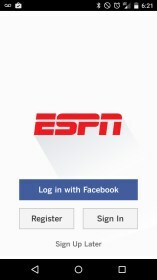 ESPN – Soft for Android 2018 – Free download. 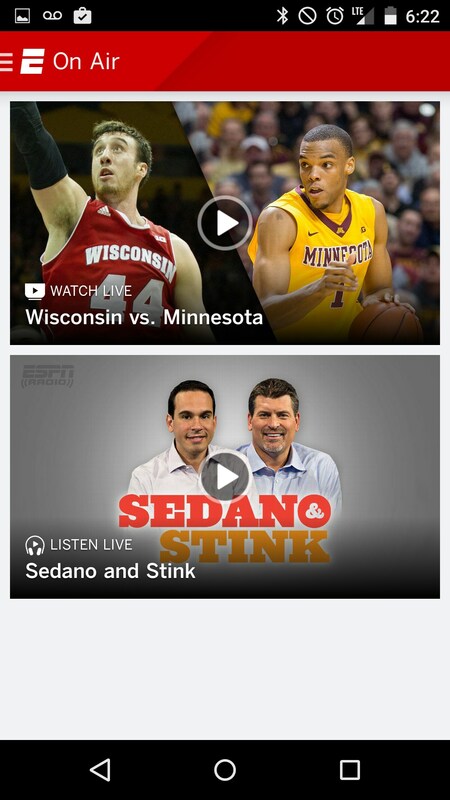 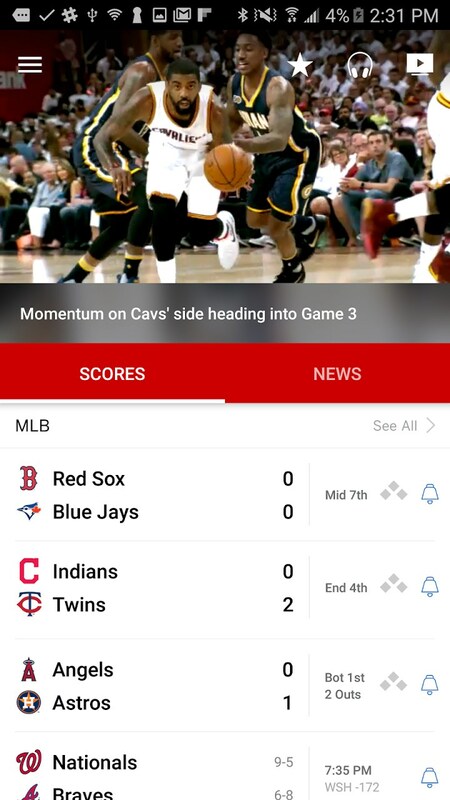 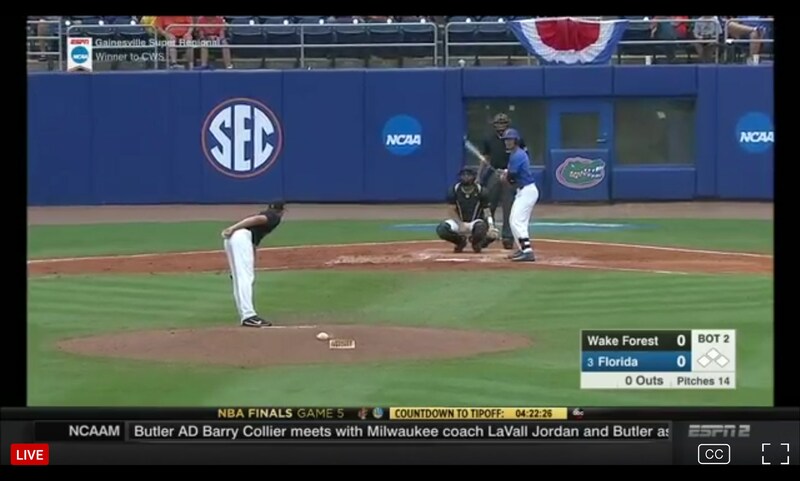 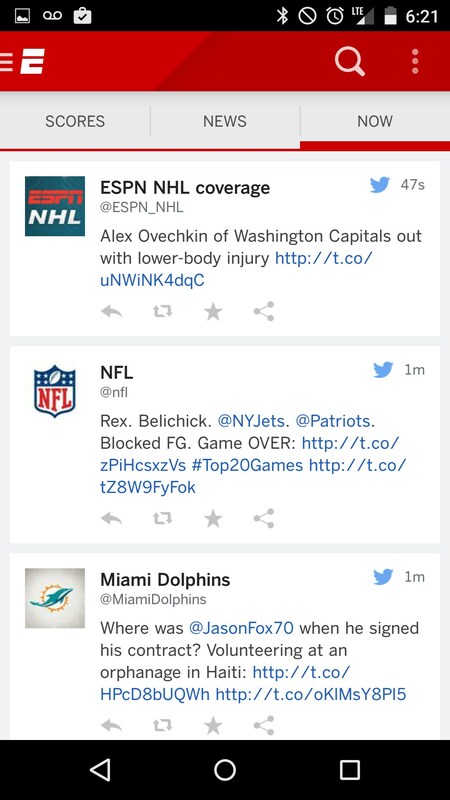 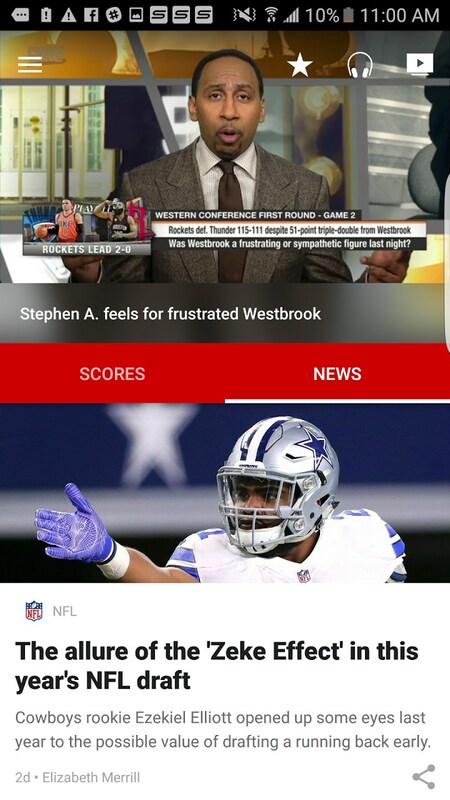 ESPN – It's ESPN for your phone. 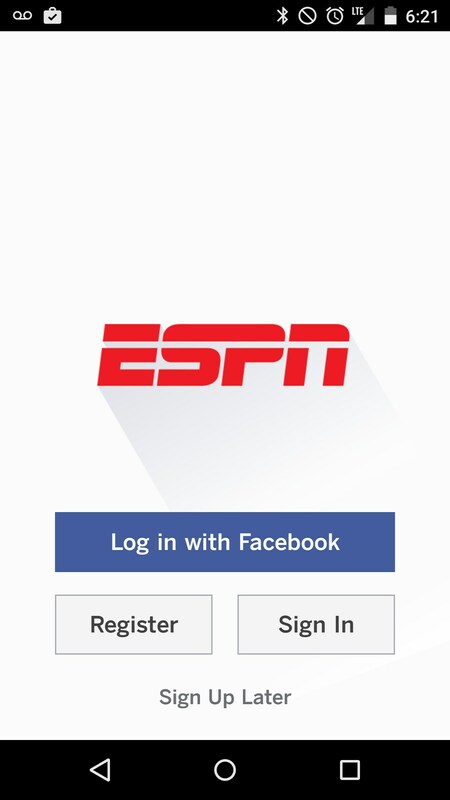 ESPN has gone under several changes since it first started covering sports, and its huge fan base has many mixed opinions on the brand as a whole. 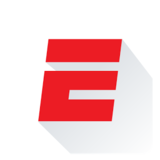 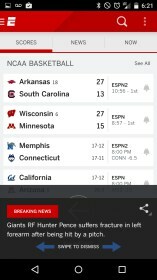 The ESPN for Android app is a cool news app that goes back to the basics with just reporting the news and scores of active and past games. 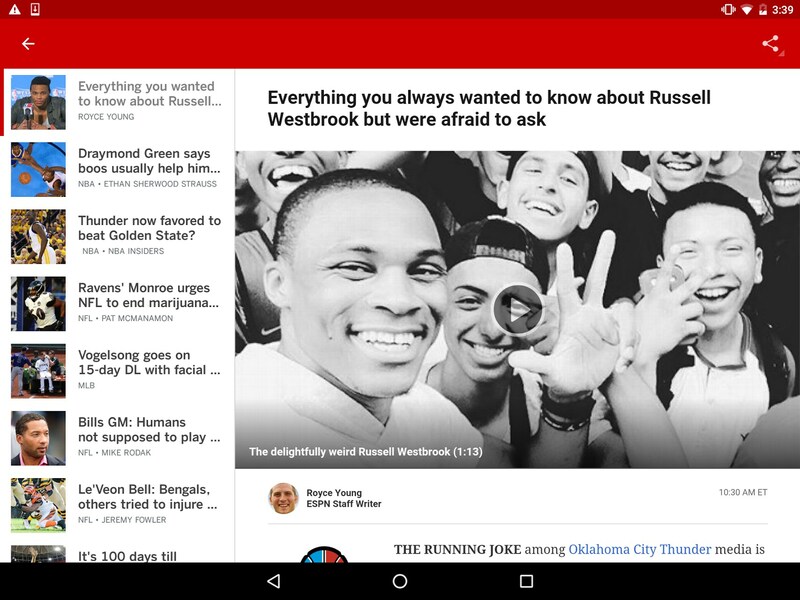 The app is set up in a traditional news reader style. 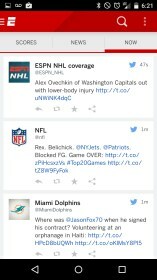 This means that information is presented in column format and separated by tabs. 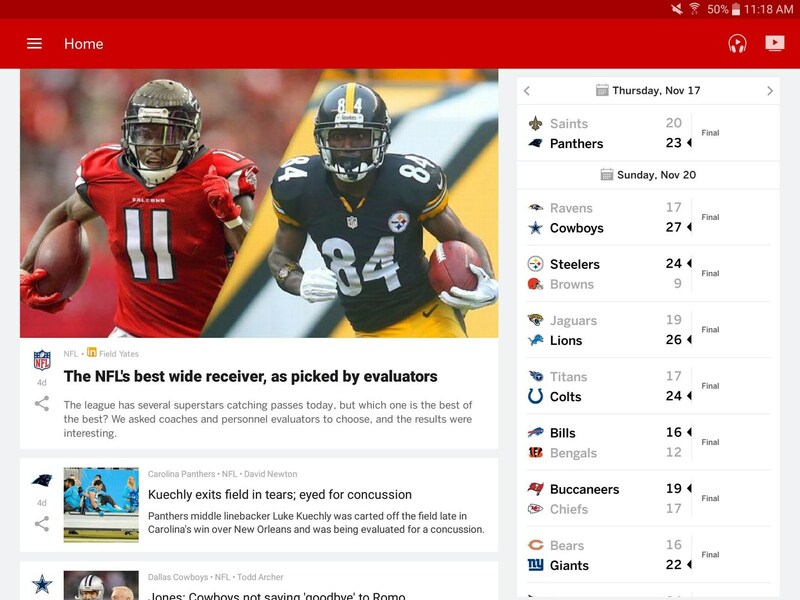 You’ve got scores, news, and now. 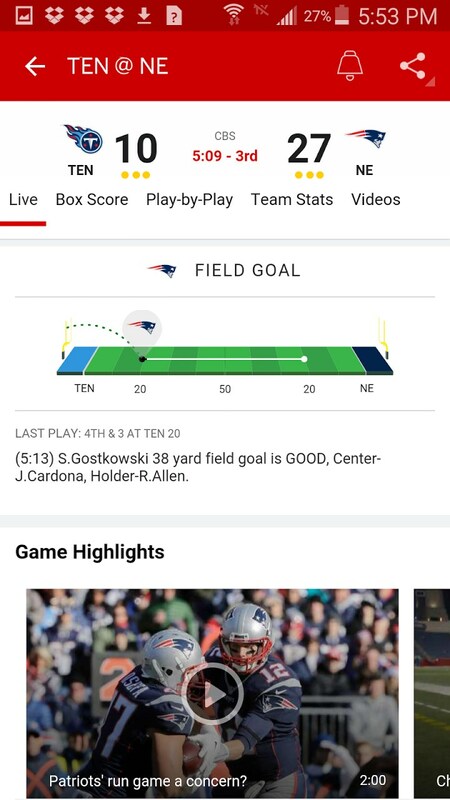 Scores and news are exactly what you’d expect but the live tab is actually just a Twitter feed you can view if you’re not already following them there. 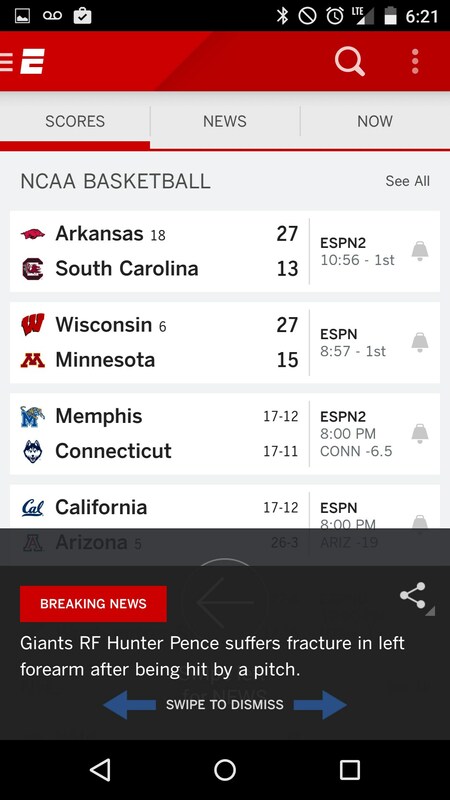 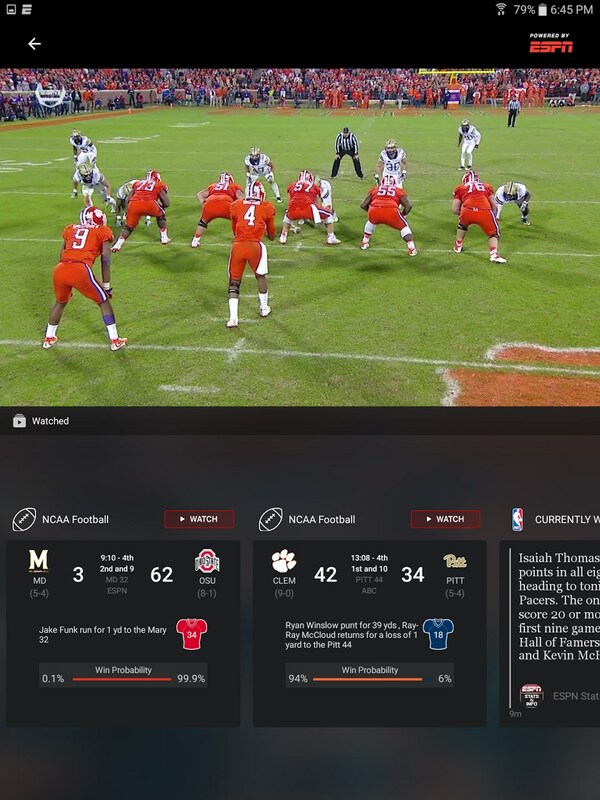 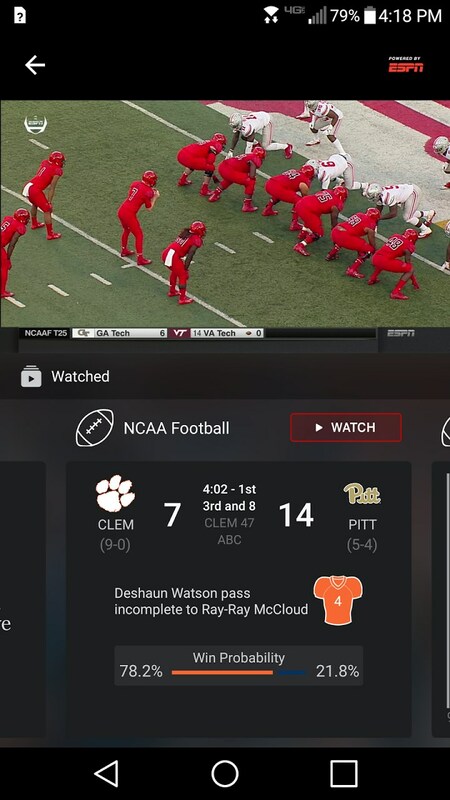 Though checking scores and catching all the latest news might be the most important function of the app, you can also sign in to keep track of your favorite teams and watch games like if you have the ESPN Watch companion app. 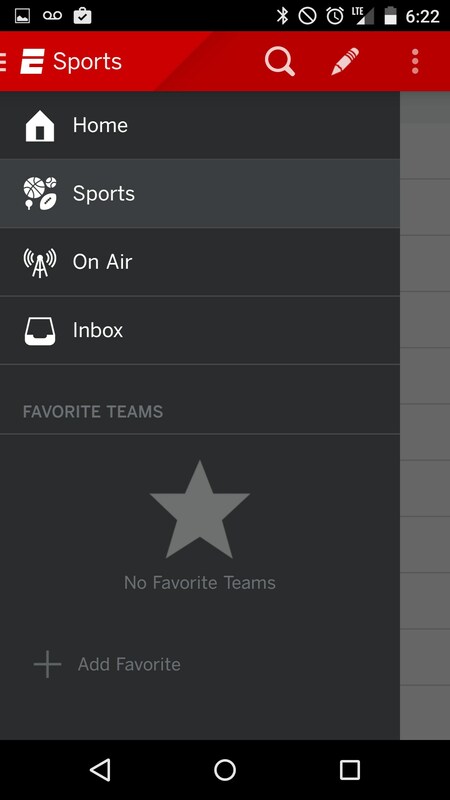 I found the interface to be a bit boring, but largely usable. 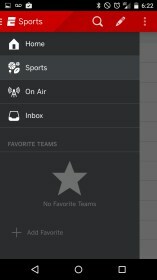 It’s an old design, but it works well which is probably the most important thing. 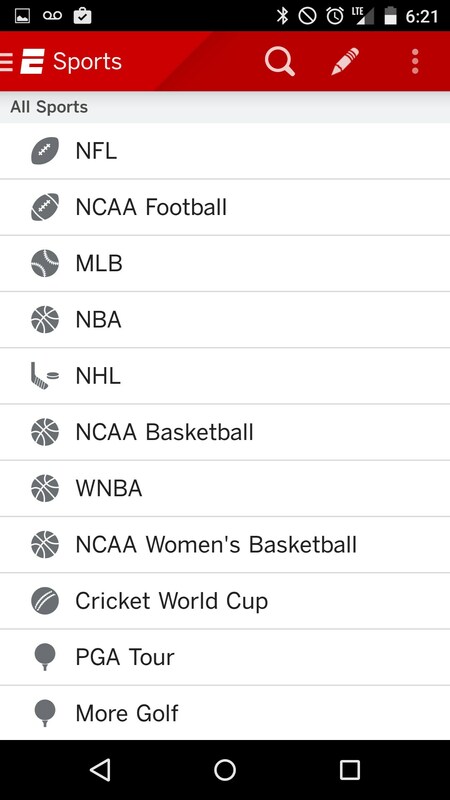 I’d definitely like to have more information about the teams of sports currently in season, player stats, and things like that. 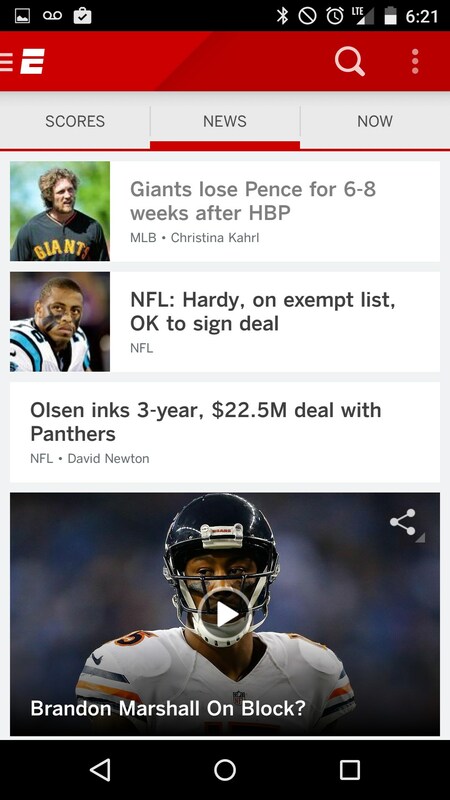 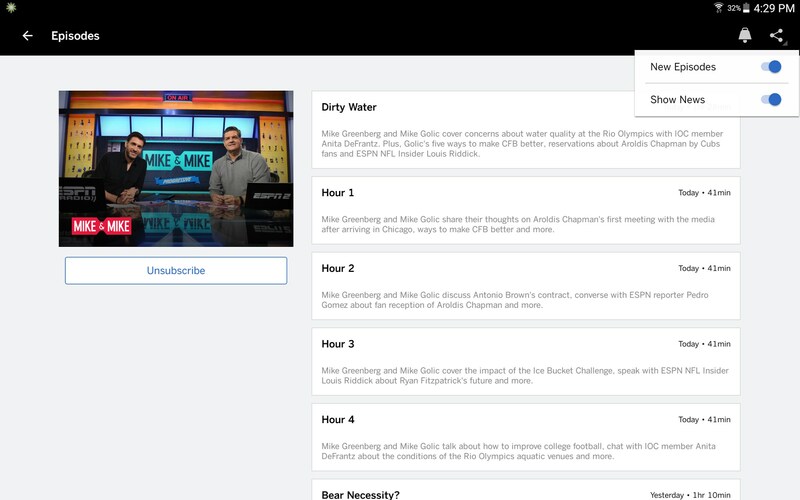 As of right now the app is really just an RSS feeder for sports stories, but it has the potential to be much more. 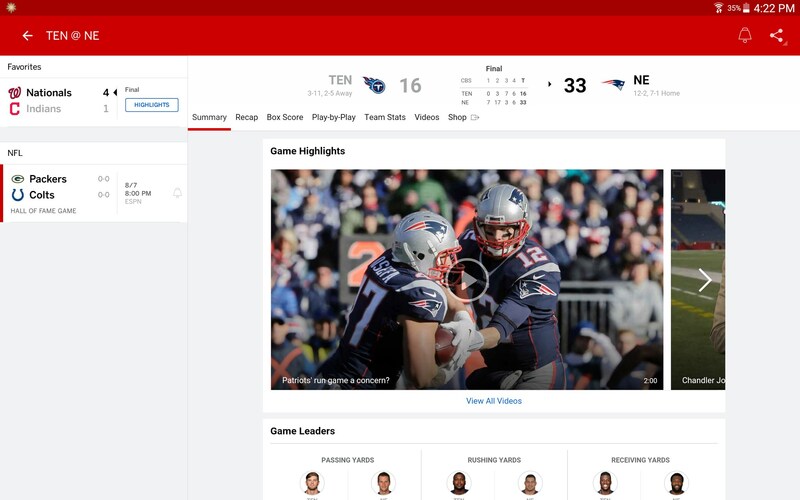 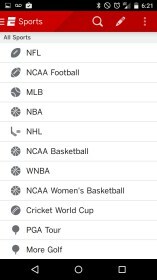 ESPN is probably sitting on the biggest sports databased in the world, and I’d love to see them implement that into the app.